In past blogs I've talked about some of the great things to do on Sanibel Island and Captiva Island (Ding Darling, Sanibel Lighthouse, biking trails, Sanibel's Historic Village, Downtown Captiva), but this time I want to talk about fun things to do in Fort Myers. I think one of the most popular attractions are the estates of Thomas Edison and Henry Ford. Located on McGregor Blvd., overlooking the Caloosahatchee River, both estates are next to each other which makes them a great choice for a visit! Guided tours are available for both estates and it's well worth learning about these historic sites. The Edison Home is full of experiments and inventions. His laboratory has lots of interactive displays for adults and children alike. Edison was an amazing individual and held more than 1,000 patents for his various inventions. Surprisingly, Edison did not invent the light bulb, but he did invent the filament that made the light bulb possible for mass production and sale to the public.His other major inventions included the fluoroscope, motion picture camera, a dictation device and batteries that powered electric cars. To Edison, his most prized invention was probably the phonograph. Thomas Edison was also a renown botanist and on his estate you can tour his gardens. His plant research led to major advances using plants to make rubber for the WWII war effort. The estate also has one of the largest banyon trees in the country. It's gigantic and covers almost an acre of land! This is a great way to spend your day! It's fun and educational for the whole family. 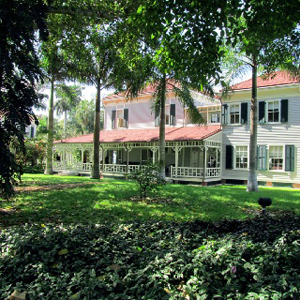 The Edison and Ford Estates cover 20 acres, which include a botanic research lab, beautiful gardens, and the Edison Ford Museum. The Edison/Ford Estates are open daily from 9:00 to 5:30. The cost is $20 per adult, child (6-12) $11.00 and free for children 5 and under. Meanwhile, we are enjoying a fun summer in paradise! Our beaches are inviting, the fishing exciting, and our roads uncrowded! This is a great time to search for the perfect property to fit your dreams. Whether it's Captiva Island, Sanibel Island, or Fort Myers, I can find you what your're looking for. 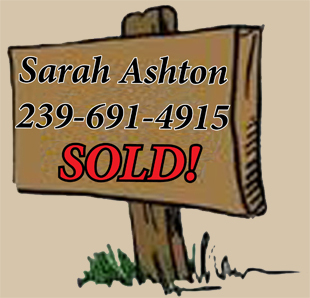 We currently have a great inventory of properties and I know how to find just the right property for you!